The Draconians are described as being very tall and covered from head to toe in scales that range from green to red in color. Heavily built these reptilians are said to be a violent race whose culture is based heavily on war. The Draconians don’t particularly have patience for humankind and see humans as a source of nourishment. They are also blamed for a large percentage of human abductions, second only to the Grays. 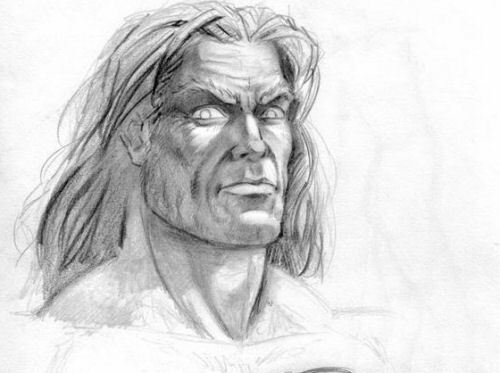 Although the idea of a hulking reptilian warrior race doesn’t generally scream ‘abundance of intelligence’ the Draconians are allegedly very intelligent and are expert geneticists. The origins of the Draconians varies from source to source however some claim that the Draconians actually created primates and even that they may have seeded reptilian life on Mars and then Earth. Sources claim that there was once a great war between the Draconians and the Lyrans who are believed to have seeded Mars and then Earth with the ‘human’ gene. It is said that the events that led up to the great war started with a ‘chance’ meeting between the Draconians and Lyran races and after disagreements about genetics the Draconians annihilated 3 Lyran planets and turn to Lyrans (human ancestors – of a sort) as a food source. The origin of the Draconians varies from source to source with some saying that they descended from Earth long before humans and others saying that the Draconians cam from another universe or were even dumped in our universe by other beings. Some details do recur from source to source however such as the Draconians currently populating the Alpha Dranconis system and that they are trying to suppress human advancements in technology, although the reasoning behind this is unclear. One thing is clear however, if the Draconians do exist then we should probably try to keep well clear! great overall rating from me 5 out of 5 plus a thumbs up! For those of you that don’t think that there is no such thing as aliens, you need to wake up. 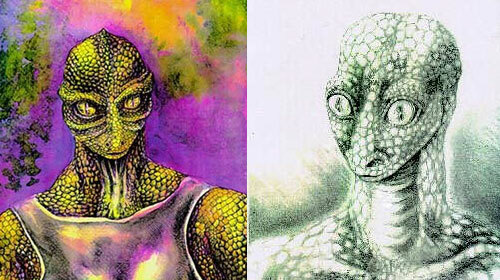 There have been reptilians living amongst us for thousands of years, and there’s countless evidence to prove it. This video does a pretty good job of giving you a rough idea of what the Draconians are and how long they’ve been here. Their disguises utilize technology that is much more advanced than the technology that is available to the general public (which is usually 50 to 100 years behind what the human elite organizations such as DARPA have), but it is still not infallible. There have been many instances caught on tape when the moving features of their face (mouth and eyes) have a slight lag time to recalibrate to the sudden change in movement. Hence the appearances of reptilian eyes or tongues for split seconds. One of my buddies who also (happens to be quite adept in regards to the reptilians and what they’re all about) was filming a city council meeting for ventura county when he caught something like this. He posted some of the pictures at his website (they’re at Anxiety.org if you want to check them out) although the quality isn’t as good as the one shot by the news network. Who seriously believes this BS? oh no you got me with that utterly amazing comeback, just burned me so bad. that was sarcasm. pls don’t burn me again. seriously though, that was elementary school level, Come back when you’ve finished puberty. 95% of this is BS… Yes, reptilians and our government made a contract; but the rest is not the facts. that means you are far from done discovering the extent of the manipulation.